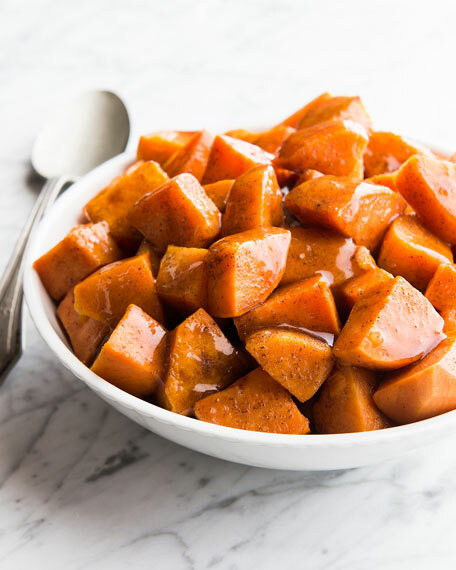 Yams glazed with a combination of maple syrup, orange juice, and brown sugar. Serves 8; approximately 3 ounces per serving. Ships frozen. Thaw overnight in refrigerator; bake covered in preheated 350-degree oven for 45-50 minutes. Allergen Information: Contains milk. Prepared in a facility that works with nut products.